Asolo Comp XT ice climbing boot review. 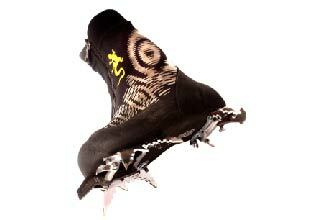 The Asolo Comp XT is a mixed/ice fruitboot that has the most rock-shoe-like performance of all fruitboots. The soft upper (lightly insulated) wraps snugly around your foot while a carbon-fiber footbed gives the boot the rigidity of an ice skate. The Comp XT is precise and feels light on your feet. An integrated gaiter helps keep you feet dry in slop, but the zippers on mine abraded on the rock, broke, and I had to cut the gaiters off because it was too difficult to replace the zippers. The Comps climb fine without the gaiter, they just aren’t weatherproof and have lost some warmth. 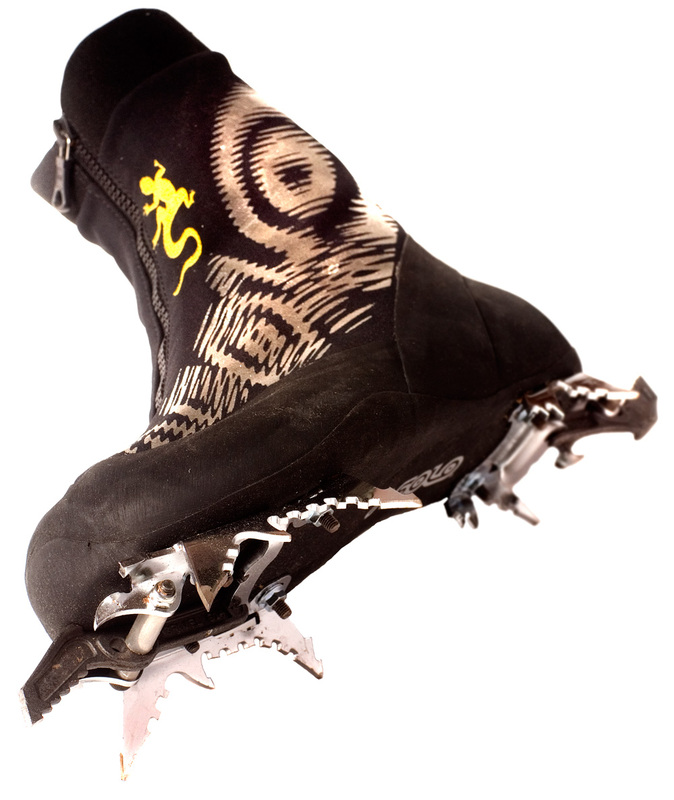 The Comp XT comes with the Grivel Racing RA modular crampon. I really like the sharp and replaceable front points, but the angles and lengths of the sidepoints aren’t great. The instep points are too short, for starters. The Black Diamond Raptor modular crampon is much better; once the Grivel’s wear out I recommend replacing them with the BD’s. Doing so will require drilling new holes in the footbeds. Allow a couple of hours for the task. For steep cave climbing I always take the heel crampon off, preferring to have the Comp’s rubber rand available for hooking. 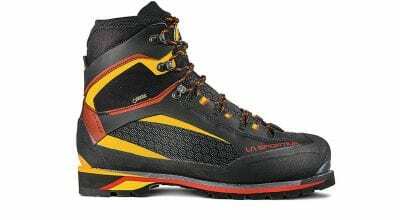 Compared to other similar boots that I’ve used, those by Kayland, La Sportiva, Lowa and Boreal, the Asolo has the best, most rigid platform for kicking into ice, and has the closest and highest performance fit. 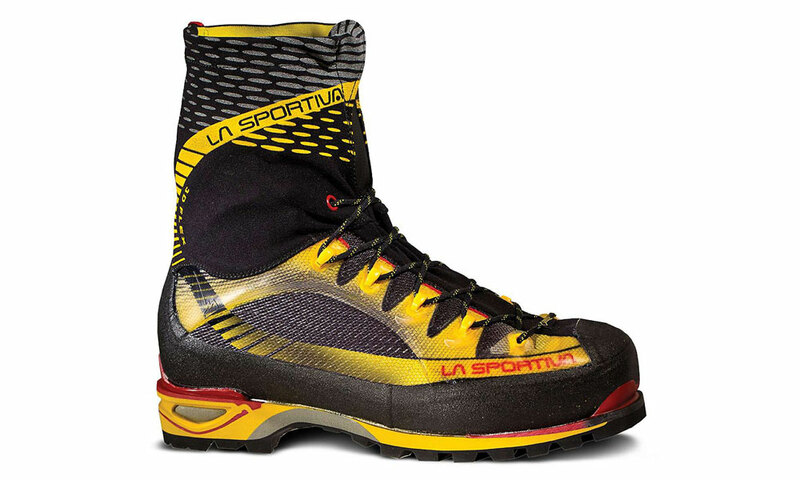 It isn’t as warm as the Lowa or Boreal, and similar in warmth to the Kayland and La Sportiva, although the latter two boots are discontinued and difficult to impossible to find.